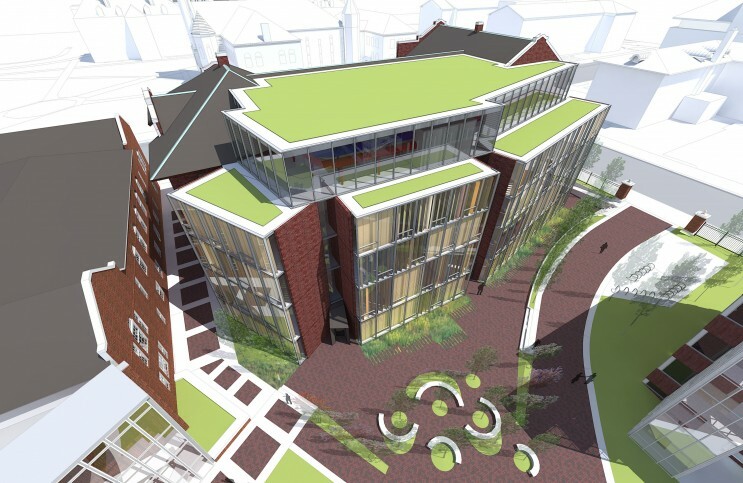 With LEED Gold performance in mind, this bifurcated scheme for historically significant buildings allows the Mathematics and Statistics Departments to present its legacy in one building while defining a vision for its future in the other. 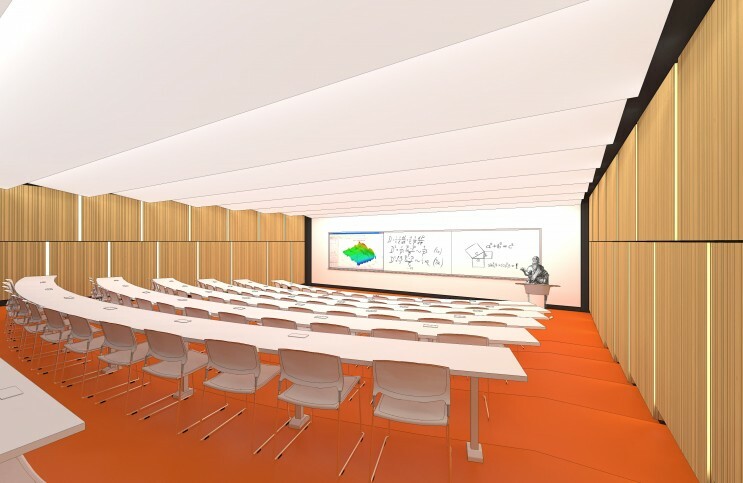 The project restores two historic, centrally located structures to a functional and aesthetic level consistent with a world premiere LEED Gold environment for discovery and learning in mathematics. 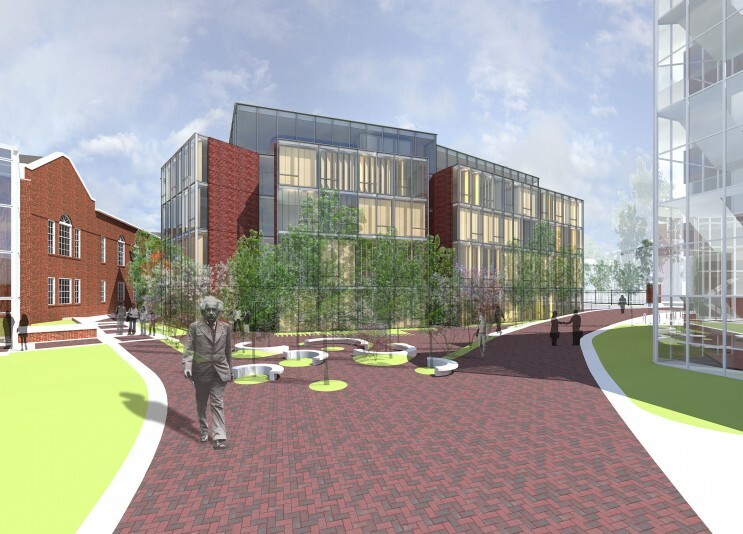 After an assessment of current use and conditions, extensive conversations with stakeholders, and analysis of functional needs, we presented options for designs complete with cost estimates and phasing plans. 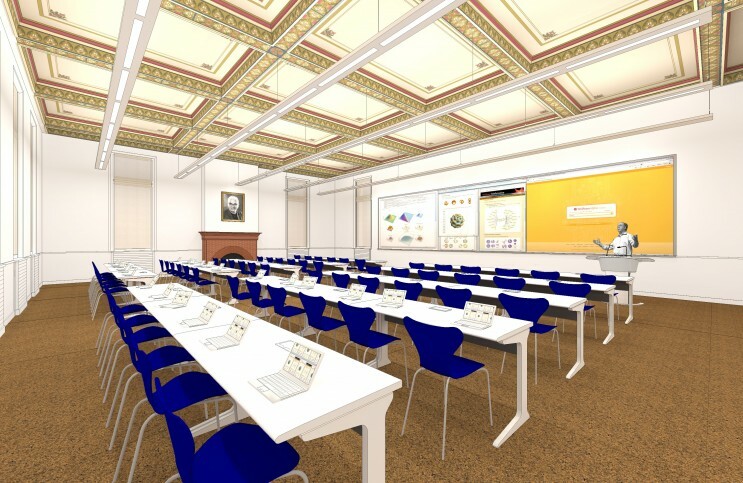 The complete restoration of Altgeld Hall (ca 1897, National Registration of Historic Places) will serve as the department’s ‘front door’ featuring administrative offices, student services and classrooms. 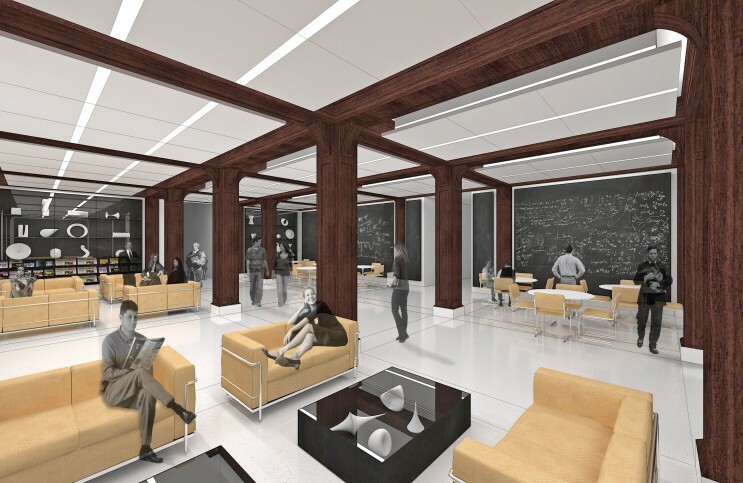 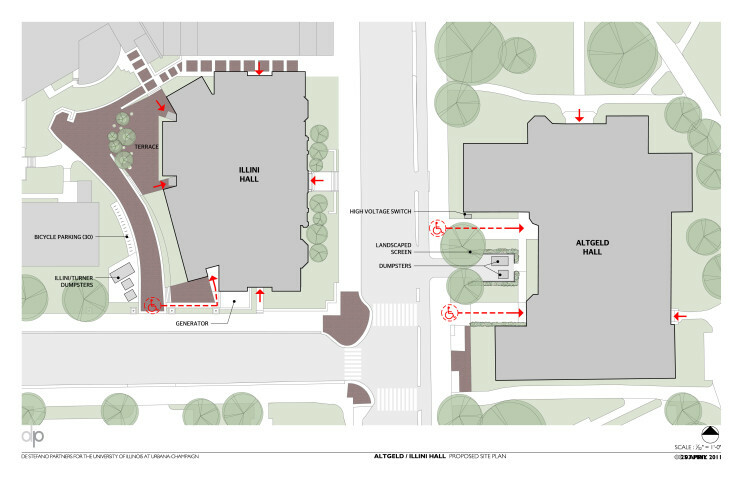 Illini Hall’s (ca 1907) expansion and historic renovation will create a Research Center that supports formal and informal collaboration, including a commons area, upgraded classrooms and a colloquium room.